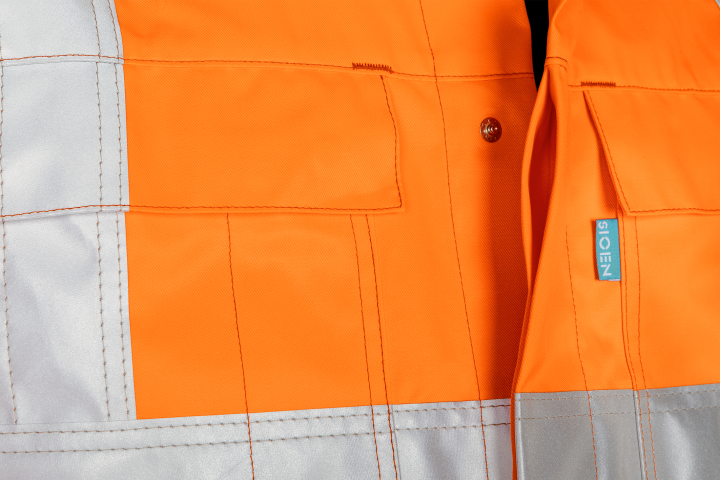 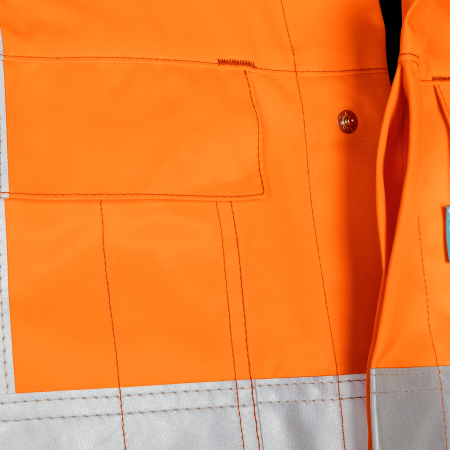 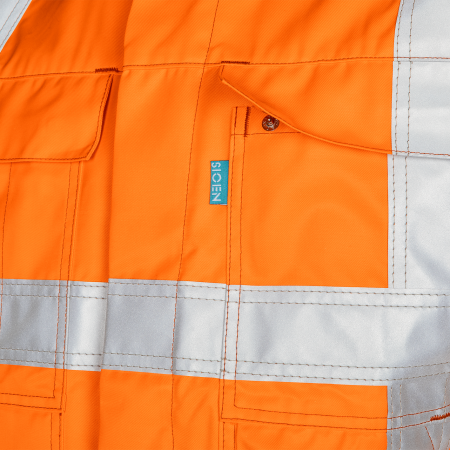 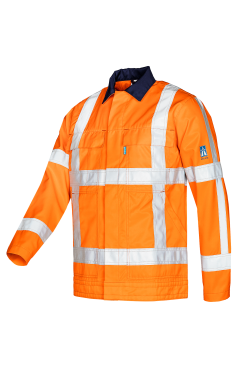 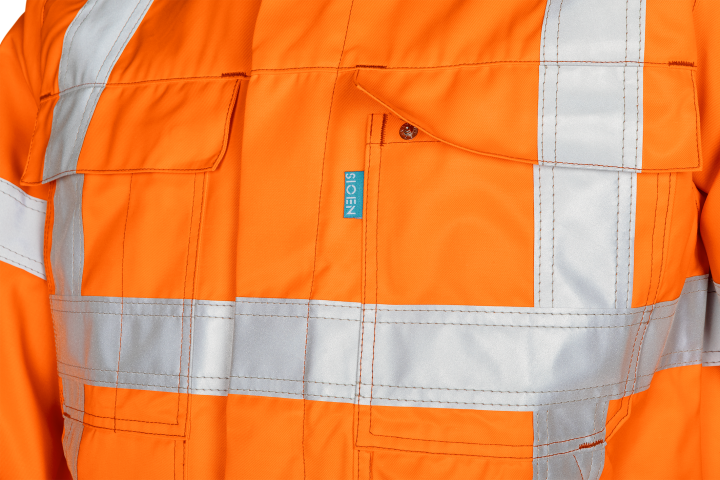 Practical and visible, two properties that apply perfectly to our Hantum RWS hi-vis jacket. 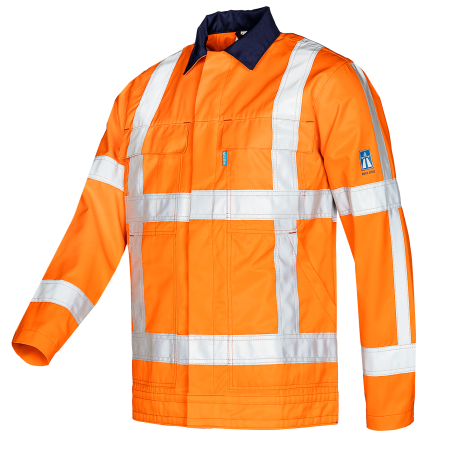 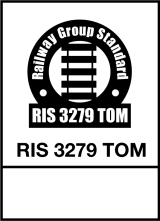 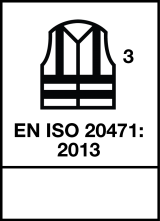 The fluorescent material and the double stitched reflective strips ensure that you are fully visible. 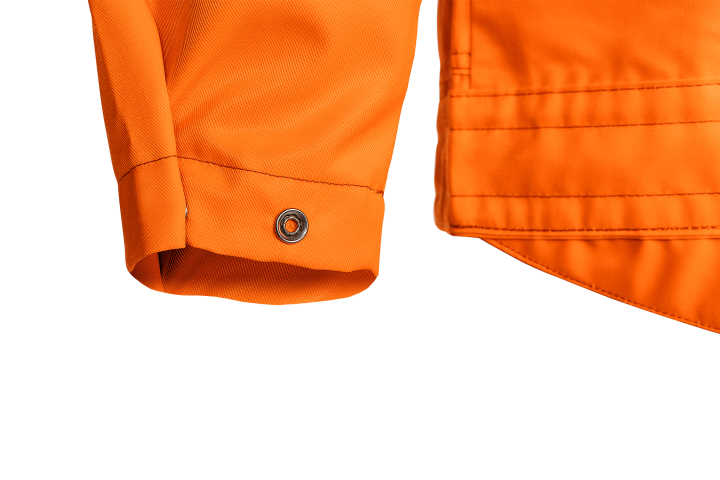 With four pockets, one pen pocket and one inside pocket, this is a very practical jacket. 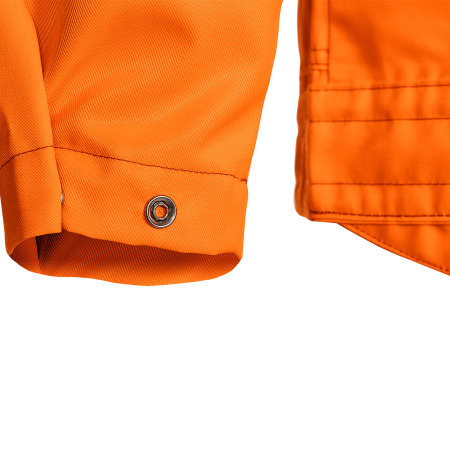 The breathable fabric with moisture-regulating properties increases comfort, just like the sleeve narrowing mechanism and the extended back.